Nerds of the world, unite! I am happy to announce the 4th edition of this popular book about how to create a nearly paperless office. Updates include more suggested uses for the scanning, storing, and safeguarding of all of your important paper. More importantly this edition covers the use of the latest versions of PaperPort 14.5 and Windows 10. A special edition of this book now ships with the Xerox Digital Desktop Organizer, Xerox Digital Personal Organizer, and Visioneer Mobile Organizer. As before, this edition is availability for the Kindle and in print. So now not only can you read this book on your Kindle or other electronic device, but you can have a printed physical book to hold on to. Yes, I know, it’s paper, but hey, we’re still going to use some paper for a while. I am happy to announce the 3rd edition of this popular book about how to create a nearly paperless office. Updates include more suggested uses for the scanning, storing, and safeguarding of all of your important paper. More importantly this edition covers the use of the latest versions of PaperPort 14 and Windows 8. New with this addition is the availability of a printed version. So now not only can you read this book on your Kindle or other electronic device, but you can have a printed physical book to hold on to. Yes, I know, it’s paper, but hey, we’re still going to use some paper for a while. 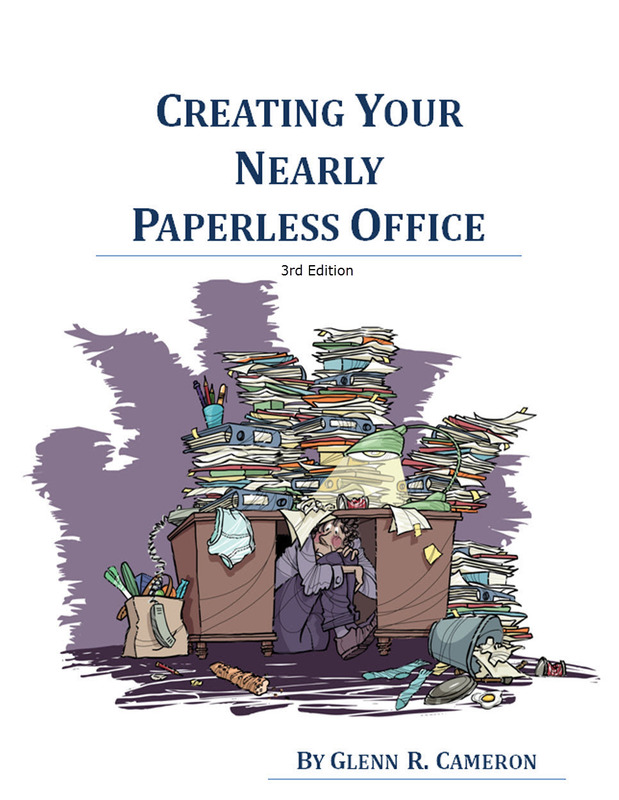 I’m pleased to announce that Visioneer is publicizing my book, Creating Your Nearly Paperless Office: 2nd Edition, on their web site here and here. In addition Visioneer will soon be shipping a special edition of my book with three new, as yet unannounced, scanners. Two of the scanners will carry the Visioneer name and one the Xerox name. I’ve been working with Visioneer for the past several months and it’s all very nearly ready to go. Woo hoo! Enter your email address to subscribe to the Nerd Union and receive notifications of new posts by email. Also if you have purchased my book you will be notified if a free new edition is available to you. Nerd Union | Powered by Mantra & WordPress.